First hindi movie shown in india was Raja Harishchandra. This was produced by Dada Saheb Phalke. The apporximate length of the film was 40 minutes. There were no female actors and the cast was all male. 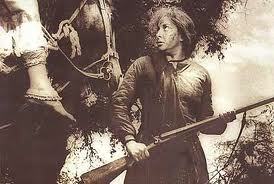 This was a silent movie. Main cast was Dattatraya Damodar Dabke (Raja Harishchandra) and Vishwamitra (G.V. Sane ). This hindi movie was released in Mumbai in 1913. 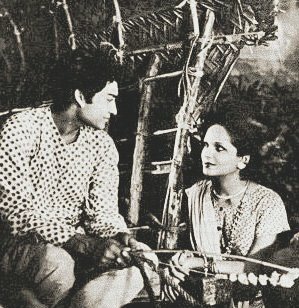 The first talking hindi movie was Alam Ara which was the first Indian talking film, on 14 March 1931. This was released by Ardeshir Irani. in 1936, Achchoot kanya was released. This could be treated as the first blockbuster. Cast were Ashok Kumar and Devika Rani. This film was based on a social cause, a tabboo, which was instantly connected with movie goers. Perhaps people will connect with Kasturi and Pratap as they would connect with Vijay or a Raj, but these were the household names at that time. This movie was directed by Franz Osten. The first coloured hindi movie was made by again Ardeshir Irani, of Alam ara fame. The name of this hindi movie was Kisan Kanya. coloured films did not click initially and they only became popular in late 1950s. Golden Period of Hindi Movies 1940 to 1960 is regarerded as Golden Age” of Hindi cinema. Many of the well known stalwarts have adorned the hindi movie space with their creations. Such was the relevance of their masterpieces that these movies are still remembered and watched in today’s times. 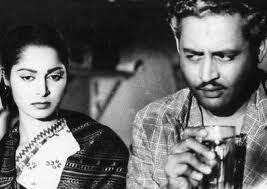 Raj Kapoor’s Awaara and Shree 420, Guru Dutt’s Pyaasa and kaagaz ke Phool are some of them.Awaara presented the city as both a nightmare and a dream, while Pyaasa critiqued the unreality of city life. Then we have Mehboob Khan’s Mother India. This hindi movie was nominated for academy award for best foreign language film. Mughal-e-Azam by K Asif is another evergreen favourite. Some of the most famous epic films of Hindi cinema were also produced at this time. Another noted addition was Madhumati, directed by Bimal Roy and written by Ritwik Ghatak, which popularized the theme of reincarnation. Kamal amrohi and Vijay Bhatt also operated at the same time. Undoubtedly, some of the India’s finest talent was working in this period in hindi movies.Successful actors at the time included Dev Anand, Dilip Kumar, Raj Kapoor and Guru Dutt, while successful actresses included Nargis, Vyjayanthimala, Meena Kumari, Nutan, Madhubala, Waheeda Rehman and Mala Sinha. You may like to watch following collections.